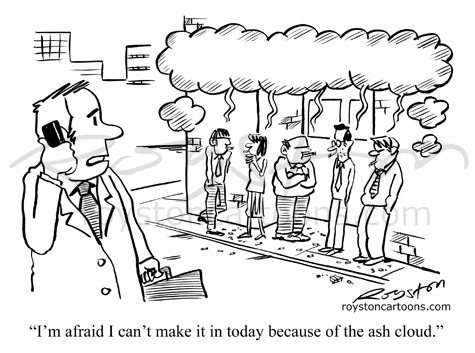 "I'm afraid I can't make it in today because of the ash cloud." Yes, before you can say Eyjafjallajökull, it seems we have another volcanic ash cloud from our friends in Iceland. 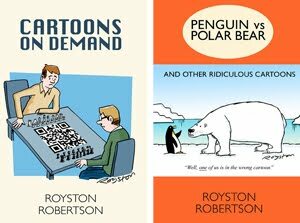 It's a different volcano this time, and probably not as serious, but it's still a gift for cartoonists. Here's one I did last time round, combining it with another theme favoured by cartoonists, the smokers' huddle.